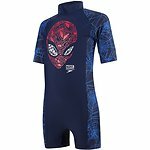 Bring some super-hero cool to the beach and pool with this Spider Man All-in-One from our Speedo x Disney range. 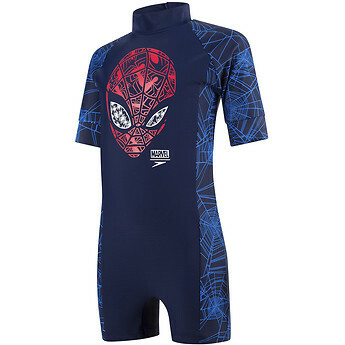 Featuring a zip-up back and Spider Man design, it offers superb coverage and includes UPFS0+ sun protection. Made from soft, shape-retaining Endurance®10 fabric for comfort and durability. Speedo x Spiderman - it's your friendly neighbourhood Spider-Man!